Whateley spoke out once again on the feud between himself and Michael Clarke. It's the feud that has stolen the limelight away from what is shaping to be an intense summer Test series showdown. When we should all be talking about Mitchell Starc vs Virat Kohli, it's the feud between Gerard Whateley and Michael Clarke that has taken over. The salacious feud kicked off when Whateley whacked the former Australian skipper over his comments surrounding the national side. Clarke said Australia needed to stop worrying about being liked and to just focus on winning games instead. But Whateley wasn't having it and took aim over the remarks as he labelled Clarke a "great climate denier" and accused him of falling well short of comprehending the problem in Australian cricket, before pointing to the team beginning to fall apart when he was installed as captain. The back and forth continued with Clarke taking to his personal Twitter account to blast back at the respected sports journalist. Both men refused to budge in their stance with the war of words just going on and on, as each rebuffed the others latest spray. "My criticism of Michael Clarke yesterday was harsh, and his reply is suitably severe … I'd like to think the Gerald was deliberate," Whateley said on SEN.
"This is all I will add today. If Australia regresses to playing cricket the way it was in recent times, using the fictional line as the flimsy alibi, then the fall of the team and the organisation will have been for nought. The bitter feud even saw current Australian skipper Tim Paine along with former players Ryan Harris and Matthew Hayden weighing in. While Paine refuted Clarke's suggestions about the way in which the side should be playing, Harris and Hayden came to the defence of their former leader. 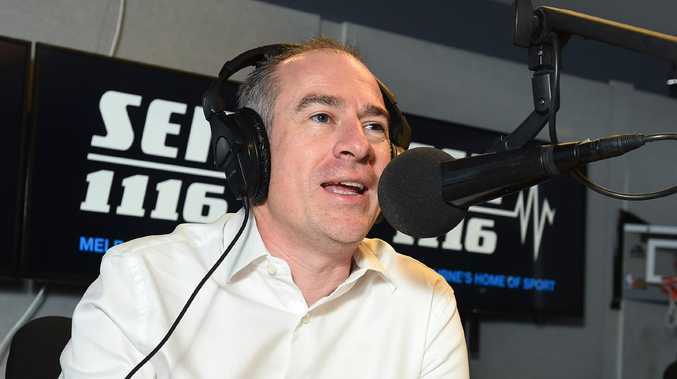 Now the feud has added it's latest and potentially last chapter with Whateley spilling the beans on the ugly feud between the pair. "I was in the kitchen just finishing cooking dinner and got a text saying 'have you seen this?' and no I hadn't seen it," Whateley said on The Grade Cricketer Podcast. "When you end up in these things, I probably think it's unedifying and that's how I've sort of come away from it for the week. Just going I've got to try and do better than that." One of the big takeaways from Clarke's response surrounded his point that Whateley wasn't "talented enough or courageous enough to make it onto a cricket pitch", a topic that has been raised previously with the journo. 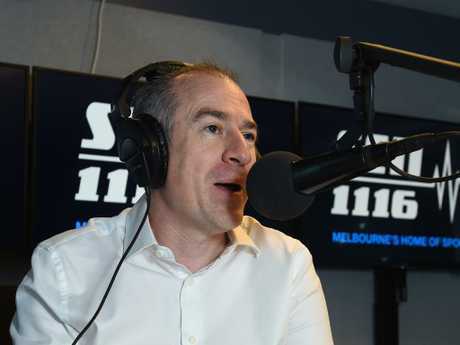 "Only every now and then these days, but it was a fairly common refrain for some decades and in the world of Aussie rules I'm pretty sure that held sway for a while," Whateley said. "Those barriers have lowered, as most people accept there is a place for the voice of those who haven't played to mix with those who have." Unlike Australian captain's of the past, Clarke hasn't truly been embraced by the public and Whateley believes it's from the majority not knowing how to take him. "In no way am I going to intend to be critical here, he was a different captain, in a way he was thoroughly a new aged captain and I probably think for a period of time people didn't absolutely know how to take him," Whateley said. The duo have continually traded barbs. "He had a different demeanour and dynamic within the team and that's just to read the autobiographies of those who played with him to get a full understanding of that. "He was around celebrity probably more so than cricketer's have been so in a way he was a thoroughly modern sportsman who crossed over into the paparazzi set, away from just the theatre of sport." Of course the entire feud began to gain traction when Whateley suggested the behavioural descent of the Australian cricket team stemmed back to when Clarke was made Test captain. "The flex point I think in Australian cricket, and I've sort of long held this view, is essentially the choice of Clarke and Simon Katich of what Australian cricket might have chosen in that moment and the path that it went down," Whateley said. "You can have your views as to what would have served cricket better or what would have served your own view of cricket better. "I actually think there is a clear flex point there and if you run that all the way through, it's not that there haven't been moments in Australian cricket before, but I think that sense of international repulsion which was given very strong voice in the aftermath of what happened in South Africa, I think you can trace that back and it starts to build rather intensely from that moment and I do think that is where the genesis of the language around the line comes in. "I don't think you'll find the line in the Allan Border years or the Steve Waugh years and I don't believe you'll find it in the Ricky Ponting years either. "I think the line was an invention of that time and then we saw where that ended up running too. It's the line that is that legacy piece for me." Now we await Clarke's return of serve to Whateley, or potentially these two will put this feud to bed and allow the summer of cricket to take back the spotlight.